In 2017 Blacklpool’s Grand Theatre launched an exciting chirstmas project Magic and Sparkle to bringing a little to people’s lives this Christmas. The Grand in conjunction with Producer Martin Dodd of UK Productions Ltd is hoping to make the festive season a bit more special for local groups in need with their Magic & Sparkle tickets. Regular and new Panto-goers are being invited to buy an extra ticket (at a very special rate), which will then be donated to local groups in need. The Grand as a charity itself is aware of local issues, with families struggling to get by and with the help of partner organisations like Arts Council England, Blackpool Council, Curious Minds and the Esmée Fairbairn Foundation we work to support individuals and children that live locally to experiencing the arts. Many of whom have learning difficulties or don’t have the financial support to be one of the few. Our aims are to engage as many children in the arts as possible – financial costs should not cause a barrier. But this funding will only go so far, so to help us to reach groups that simply can’t afford to take part and experience this delight we are turning to our incredible supporters and customers to see if they can help? When you donate to Blackpool Grand Theatre its aim is to help improve literacy, numeracy and confidence. Last year more than 52 schools, 10,000 school children visited The Grand to see a show and a further 3000 participated in other activities. If you can help, ask for information at our Box Office or call us on 01253 290190, our team will be there to assist. To donate to the Blackpool Grand Theatre visit our Donations Page. If you would like to make a financial contribution to the maintenance or improvement of the building please make your donation payable to: Blackpool Grand Theatre Trust Ltd. 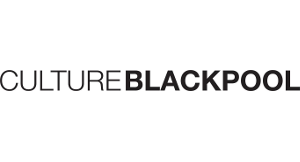 If you would like to make a financial contribution towards the artistic programme or the operation of the theatre please make your donation payable to: Blackpool Grand Theatre (Arts & Entertainments) Ltd.